Wikipedia defines ‘Youth Marketing’ as a term used in the marketing and advertising industry to describe activities used to communicate with young people, typically in the age range of 12 to 34. The youth market is critical because of the demographic’s buying power and its members’ influence on the spending of family members. In addition, teens and young adults often set trends that are adopted by other demographic groups. But is it an easy market to connect with and sell to? The answer is no. The youth demographic has gotten smarter. Generation Y – to be more specific – has a keen ability to identify and reject marketing messages that, they believe, lack credibility. Many brands market to youth by offering relevant products and services while communicating a brand message in an appropriate voice and tone. Successful brands have an association with key interests and drivers among youth such as music, sports, fashion, video gaming and technology. In terms of digital and social media, the youth demographic, in many ways, are its defining users. 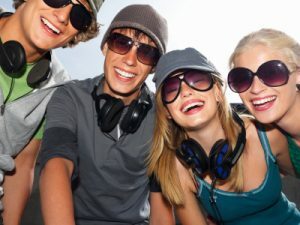 Not only has the multi-billion dollar social industry embraced the youth culture as its ambassadors, but its future has clearly become dependent on them. Youth marketing strategies commonly include television advertising, magazine advertising and online marketing. Today young people expect to be able to learn about, interact and be entertained with brands or services targeting them online. Other common youth marketing tactics include entertainment marketing, music marketing, sports marketing, event marketing, viral marketing, school and college programs, product sampling and influencer marketing. Over the next month or so, Collegiate Marketing Group’s Blog team will uncover some hot issues associated with youth marketing. Designed to help enlighten and inform, the 2012 Youth Marketing Initiative series will explore some relevant topics such as ‘How to be Effective in Branding to Youths’, ‘What Generation Y Really Wants’ and ‘The Future of Generation Y: What to Expect’. Staying relevant should be on the minds of every business; no matter what demographic is being targeted. Through this series, Collegiate Marketing Group aims to help bridge the gap between the potential buyer and the hopeful seller.